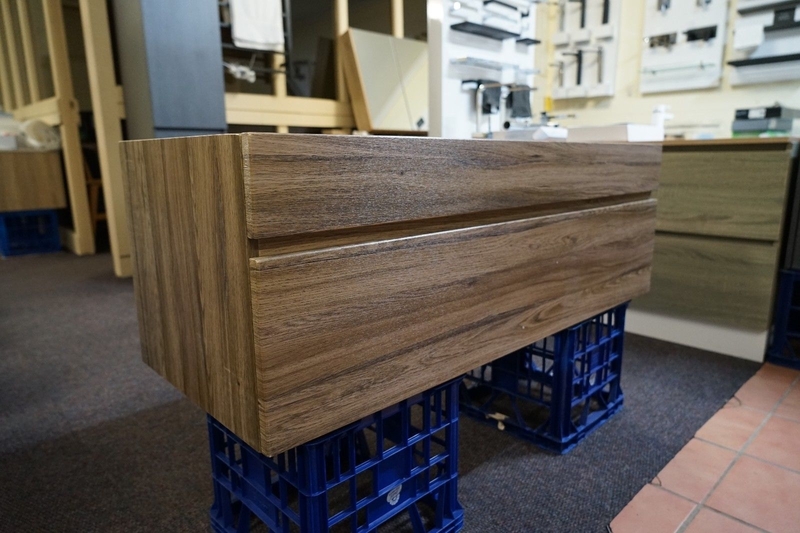 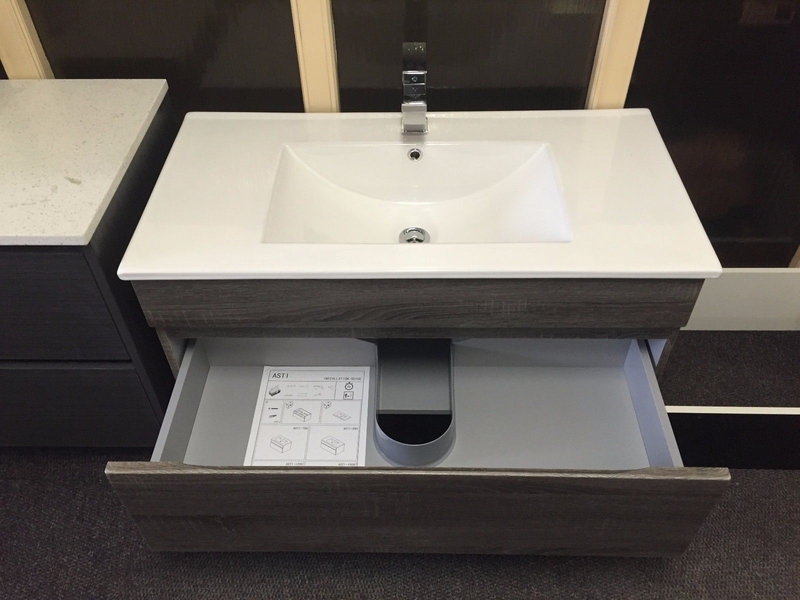 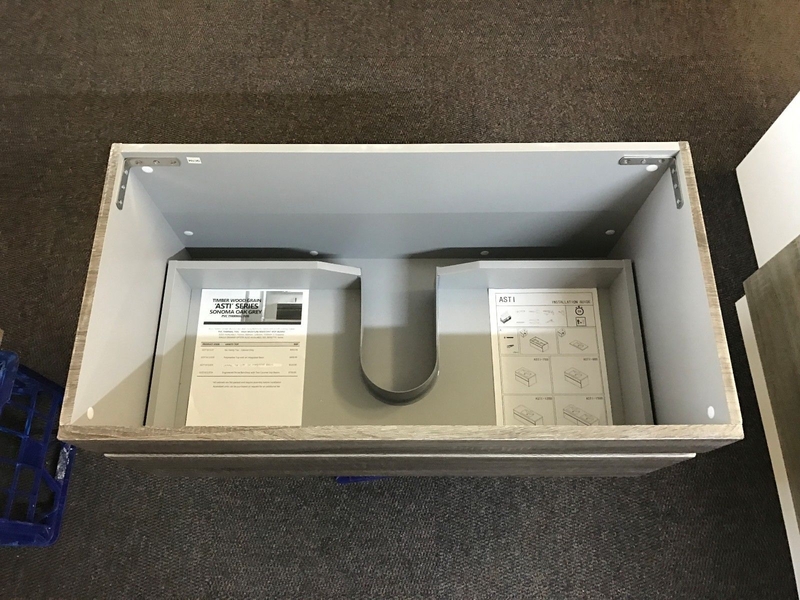 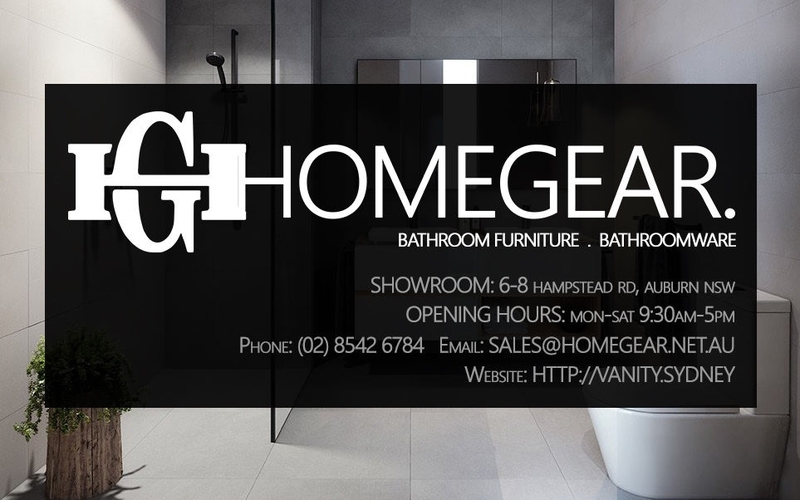 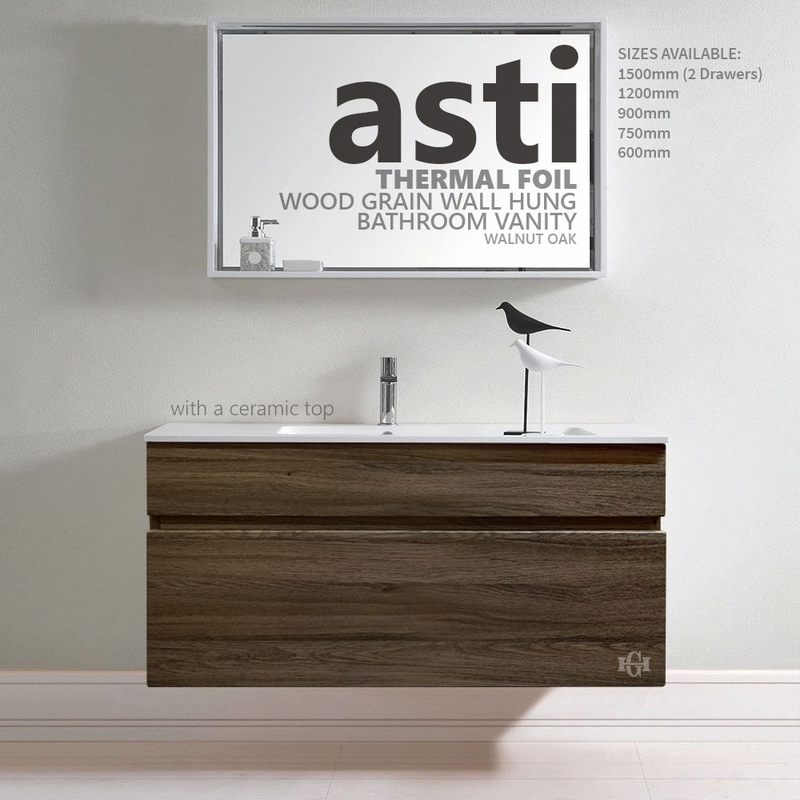 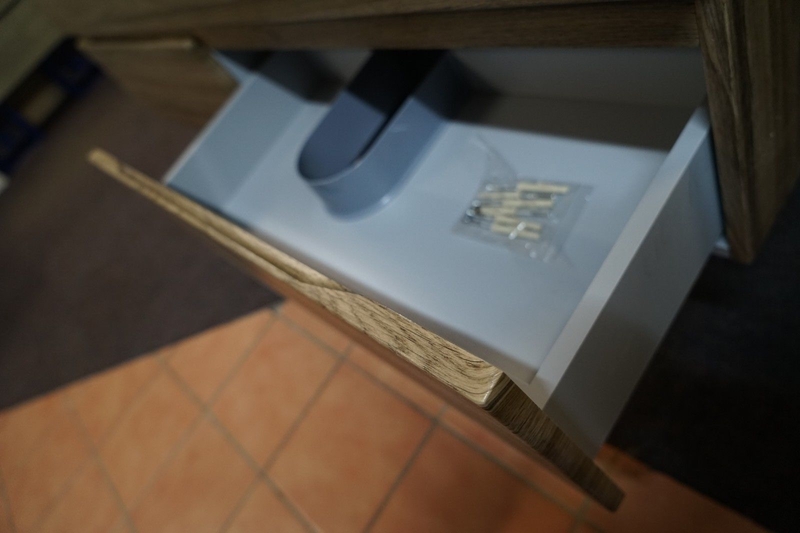 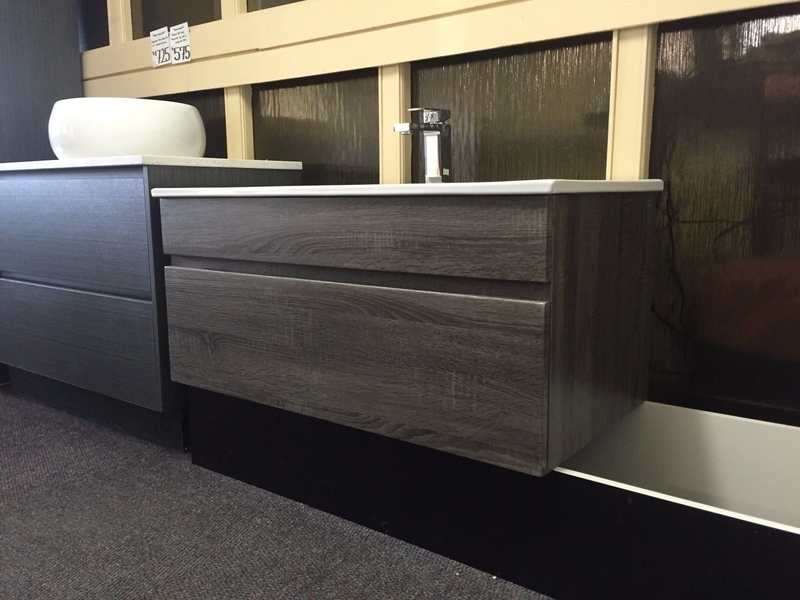 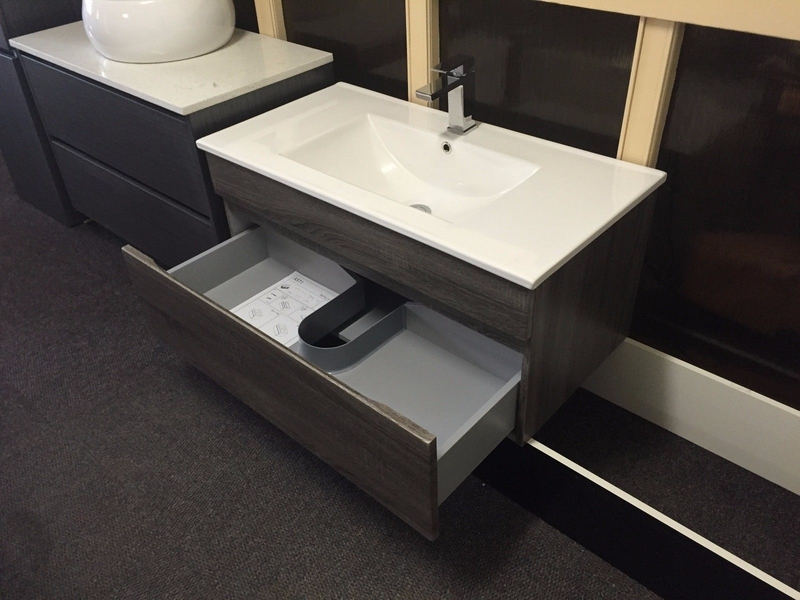 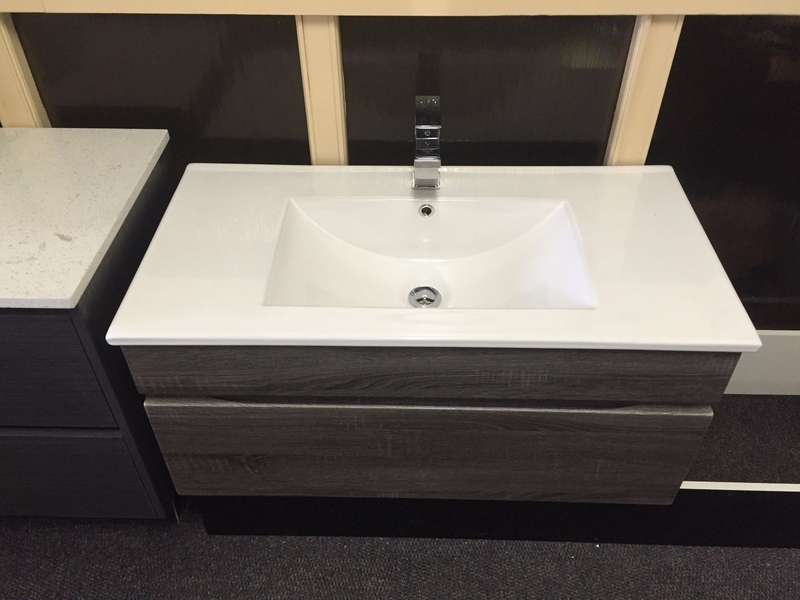 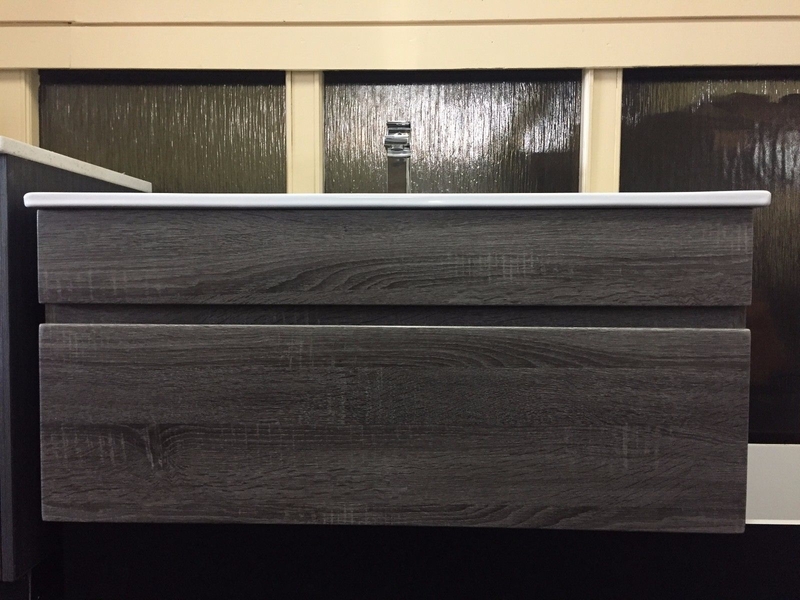 *Photos shown of this vanity in our ‘Sonoma Oak Grey’ colour – actual vanity is ‘Walnut’, see 2nd photo for actual colour of vanity. 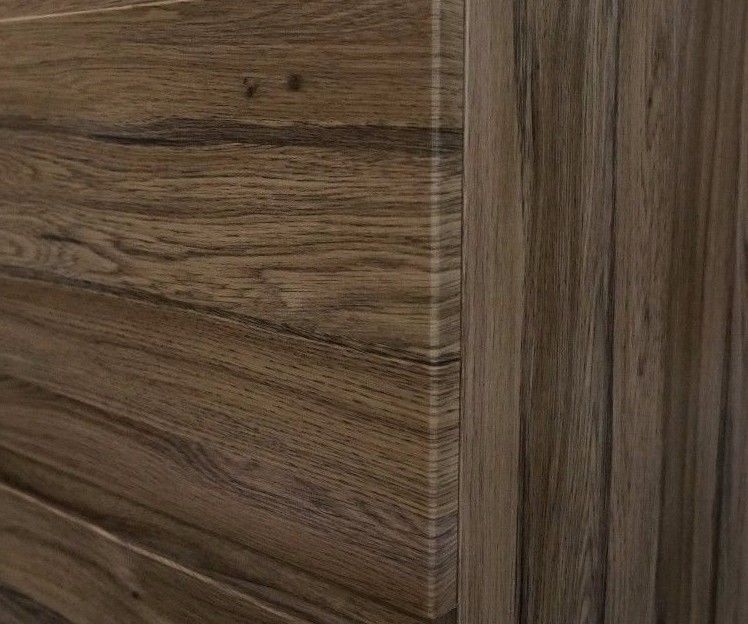 Not a timber veneer or laminate! 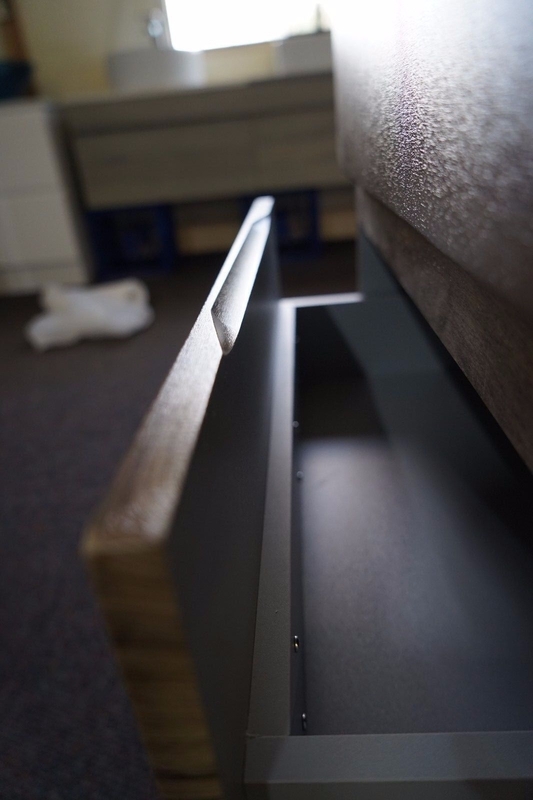 – FEEL THE THERMOFOIL (Thermal Foil) DIFFERENCE / You can feel the wood grain texture.